4 Bedrooms and 4 bathroom, open plan kitchen fully equipped, 4 toilets, garage, laundry room, larder, 2 living rooms, 3 televisions, DVD player, Wi-Fi Internet. 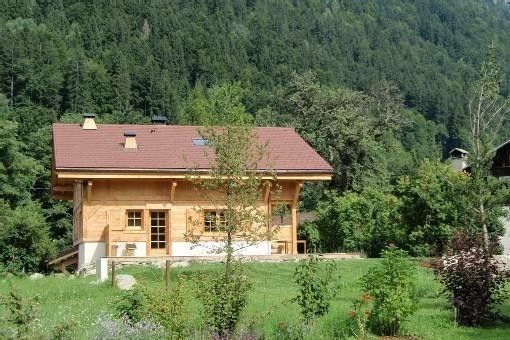 Traditional mountain chalet in exceptional setting, facing the mountain and in the middle of nature. Beautiful architecture with noble materials and respect of traditions, geothermal and eco-friendly heating, large flowered and wooded garden, beautiful terrace with furniture. We had a wonderful time skiing in St Gervais. The chalet was 5 minutes drive in the car from the main ski lifts. The free shuttle bus also stops ~ 200m away. The house is beautifully decorated and perfect for 6-8 people or a few more with little ones😀. We loved cooking together and drinking local wine. Also the sauna was great. Can’t think of anything negative!! Exceptional location by the tennis courts, pool and aerial lifts, 1 km away from the centre of Saint-Gervais, 10 km away from Megeve, 25 km away from Chamonix and 8 km away from Les Contamines.